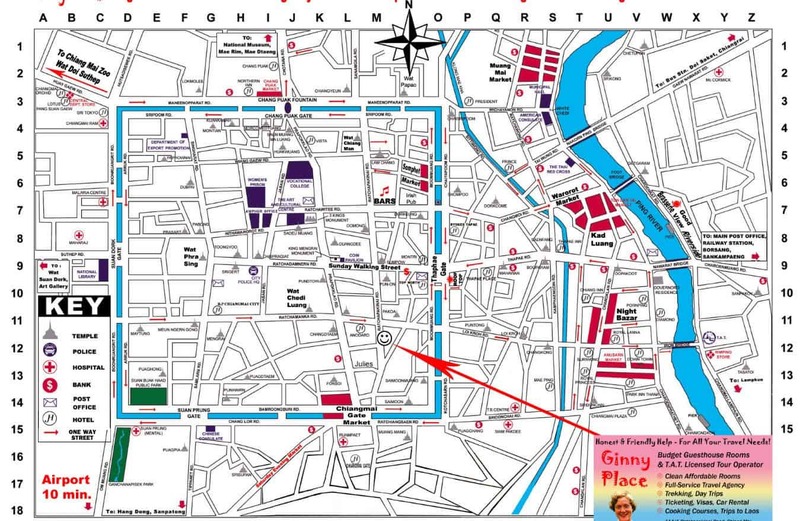 Make sure to check out the many online maps available of Chiang Mai before departing for this historic city. Familiarising yourself with the city is easy as it can be broken down into two main parts; the old city and everywhere else! 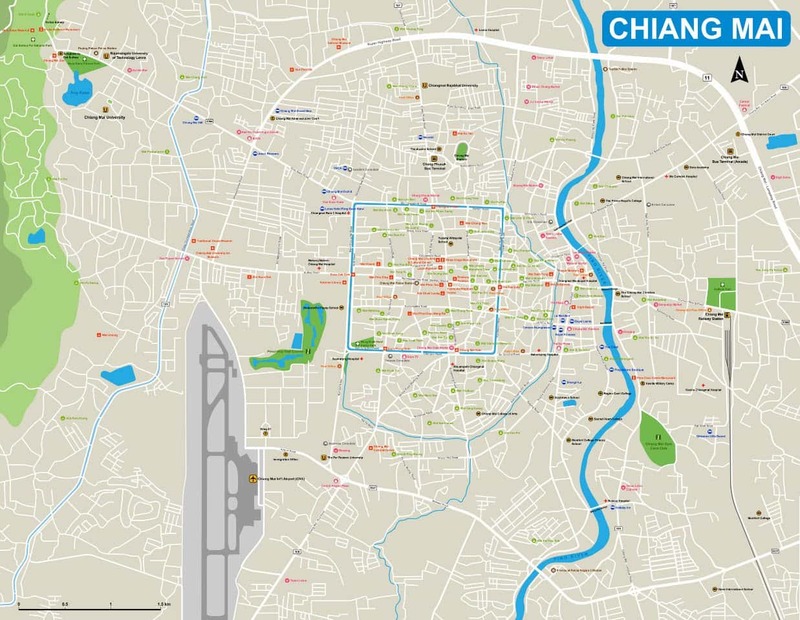 Chiang Mai can be navigated on foot, particularly if you are staying in the old city. The old city walls are only 1.5kms long at each length, meaning that you could spend a day quite easily walking around the old city without the need to navigate by car or scooter. 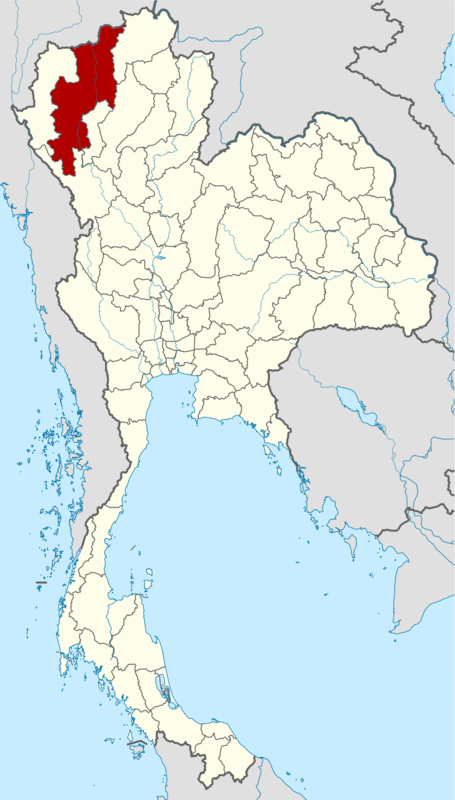 If travelling further out to Nimman, the Night Market or the Zoo are within walking distance, but you may wish to take a Red Truck (Songthaew), Tuk Tuk or hire your own scooter as the distances may be too far (and the weather too hot) to travel by foot. Uber is also available in Chiang Mai and is very cheap and reliable. Some of the popular activities to enjoy in Chiang Mai can be reached by taking a car include Doi Suthep, the Night Safari or going to and from the airport. Here is a link to a high resolution PDF Map that you may wish to print.